Originally developed for the Material Matters exhibition at Quintela Palace in Lisbon, Puppy was the outcome of a workshop with 11 other Portuguese designers* to explore Sibu, a new material with particular qualities in terms of light, structure, colour, and sheen. 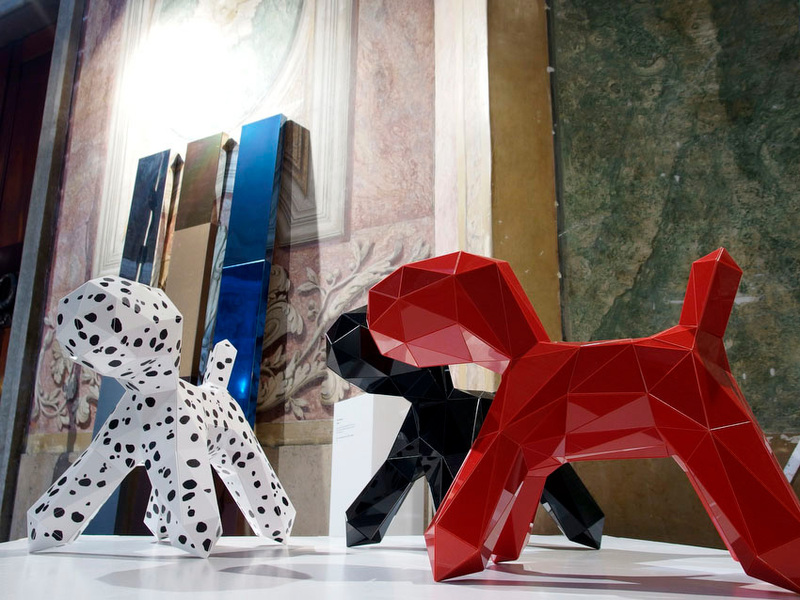 Puppy explores the material’s flexibility, resulting in a figure of a dog in different colours and prints. The piece explores the three-dimensional potential of Sibu in a light-hearted but complex way. Pedro Sottomayor also developed another piece for this event: the Upgrade mirror.